Sorry for the delay of this post – I’m playing catch up with some things! 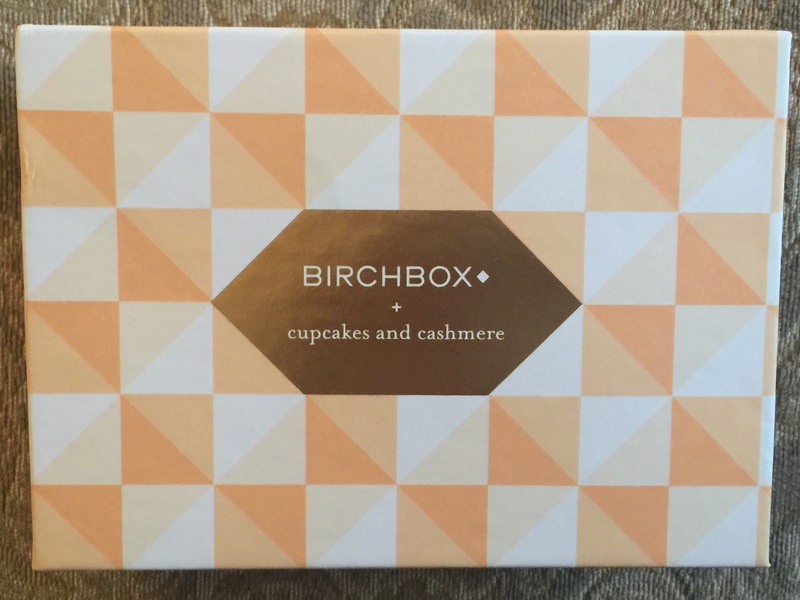 I was super excited to hear that Emily of the blog Cupcakes and Cashmere would be the guest curator for May. I adore her blog, and typically love most things she recommends. 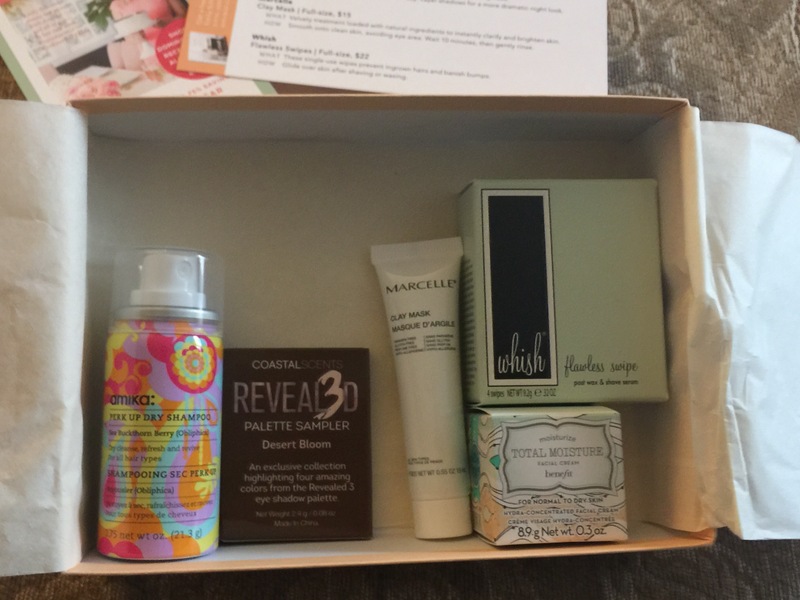 I forgot to pre-select my samples, so I wound up with the regular box. I’m not at all disappointed. While I’ll probably trade some things, I really enjoyed the theme. *All prices are for the full size products. I LOVE trying new dry shampoos, and I’ve been eyeing the amika brand for a while now. It smells a little fruity for my taste, but I’m excited to give it a shot. Benefit is one of my favorite brands, and I appreciated getting a generous sample. I need to be careful what I put on my face because I don’t want to break out, but the smell is so lovely, I think I’ll give it a try. I was most disappointed by this one. I’ve wanted the full palette for a while now, and was quite upset when they cheaped out with the quad. Colors are nice, but total bummer. I haven’t had a nice clay mask in a while, so I might be willing to try this. But because I have sensitive skin, I’ll have to read some reviews before I give it a shot. These are designed to banish bumps and prevent in grown hairs. I’d rather have a lotion or creme than a wipe, but thats just me. The brand hasn’t proven effective for me in the past, but I love their ideas and the fragrances of their products. This goes to the swap pile. How were your boxes this month?